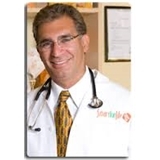 Smart For Life (Boca Raton) - Book Appointment Online! Practice dedicated to Health and wellness including weight loss and preventive care. Finally a Doctor who listens! Only 5 minutes wait. Friendly staff, flexible clinic hours, attentive to patient concerns. Highly recommend.